Posted: Sun Jan 21, 2018 2:58 pm Post subject: Adopted unwanted colony. 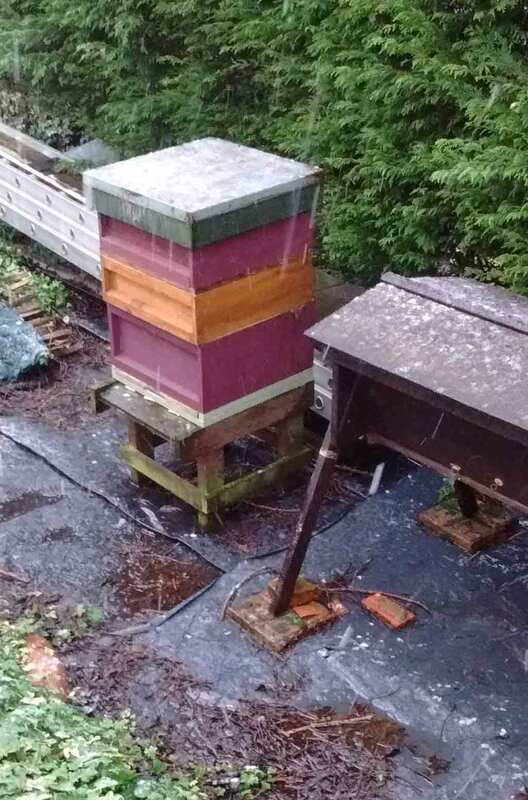 New bee family including national hive arrived Saturday in the snow. I carried it from mates van and it as very heavy, hopefully plenty of honey and the colour is very close to my favourite.......purple. I've given them some fondant and will be leaving them settle in. Not sure whether to transfer them later in the year to my deserted hTBH or not yet. Kicked Photobucket into touch and now using imgur.........so easy. Oh dear! You haven't been having a lot of luck. Do you know why they didn't make it? Have you done a post mortem exam? I'm so sad that you have had so little success. I fed them with fondant at the top of the hive as matey suggested but I fear it was too far from the huddle and I expect they starved, I found them dead still in a huddle and all the stores gone. I didn't want to disturb them in the National but in hindsite perhaps I should have been more attentive and made sure they had food. The National I'm going to use as a bait hive down the club and see if I can attract a swarm, see my recent post on the positioning of it in my thread..